Valentines Day is just around the corner, but it can be hard to find a gift for the person that has everything. We’ve rounded up 10 ideas for travel-related valentines gifts. They’ll be sure to keep you in the good books! 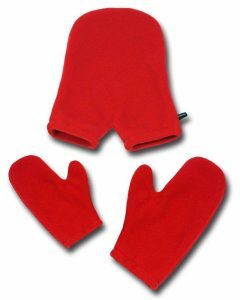 Smittens – Be closer to your loved-one or friend by holding hands inside a single, oversized mitten! Featuring cozy, warm and durable Polartec fleece, Smittens are perfect for long romantic walks, keeping you and your partner warm during chilly winter outings, no matter where in the world you are. 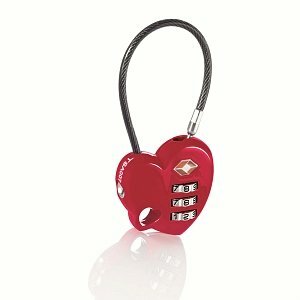 Travel Smart Heart Lock – This TSA recognised lock features a sturdy construction and resettable lock combination. Perfect for securing your luggage or backpack whilst travelling. 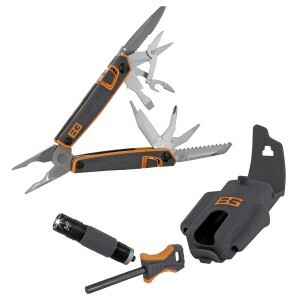 Bear Grylls Survival Kit – Designed for survival in the most extreme conditions, the Bear Grylls ultimate survival pack from Gerber is the all-weather workhorse of the Bear Grylls survival line. It features an easily pocketable multitool with 12 components, Gerber’s Tempo flashlight, a fire starter rod, and a textured plastic sheath for durable yet convenient storage. Perfect for those camping trips or if you’re venturing into the outback. Speaking of flashlights, LED flashlights are another great gift. 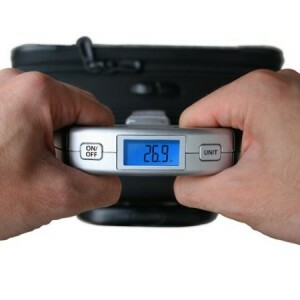 Luggage Scales – Avoid being stung by excess baggage fees by using these compact luggage scales. Simply clip the EatSmart buckle to the handle of a suitcase or bag. EatSmart’s proprietary two handed SmartGrip design allows for easier lifting of even the heaviest bags. Lift the bag and the scale will beep when the weight has been determined and appear in the large backlit LCD. The scale is compact, lightweight and durable so you can take it along for the return journey! Bose QuietComfort 15 – Perfect for blocking out airplane engine noise or screaming children, these are the best Bose headphones, period. 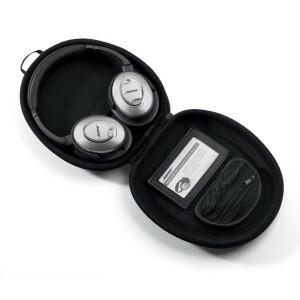 QuietComfort 15 headphones feature exclusive Bose advancements in noise reduction technology. You hear less noise and more of your music and movies-with quality sound and a long-lasting comfortable fit. You won’t find this combination of benefits in any other headphone. 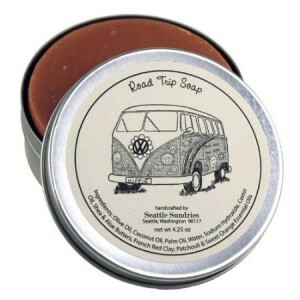 Road Trip Soap – This soap was made with earth-loving, free-living, road-tripping people in mind. Its deep red color comes from natural French clay, which is used in holistic medicine as a skin purifier. Its rich and earthy scent of patchouli mixed with orange for freshness makes it a favorite among roamers of the roads. Groovy! Also available in other varieties such as Sasquatch Soap. 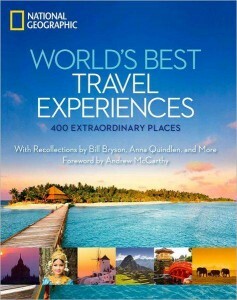 World’s Best Travel Experiences – Popular actor and award-winning travel writer Andrew McCarthy writes the foreword to this lavish book, offering 400 awe-inspiring destinations chosen by National Geographic’s family of globe-trotting contributors; dozens of fun, “Best of the World” themed lists; illuminating sidebars, several by travel and literary luminaries such as Anna Quindlen, Bill Bryson, Gore Vidal, and Pico Iyer; and hundreds of dazzling, oversized, full-colour images to bring to life a wide variety of location categories – from entire countries to mountaintop villages to pristine lakes to ancient wonders. RFID-Blocking Travel Wallet – Keep your passport safe while traveling with the Travel Smart RFID Passport Wallet. It safely shields all your RFID credit cards and passports, preventing identity theft while traveling. 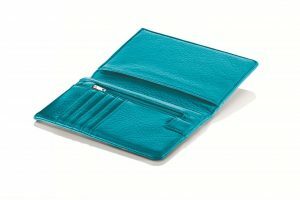 It has interior pockets for cards, currency and more. It also includes a zippered pocket for coins. 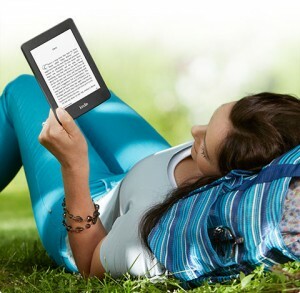 Kindle Paperwhite – The best Kindle yet. Perfect for the traveller that loves to read, this device offers long battery life and a screen that’s readable in daylight, or (with the addition of the new reading light) at night! 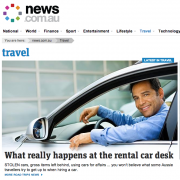 In a Sunburned Country – The perfect read to accompany your Australian Journey. 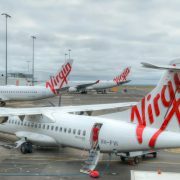 Despite the fact that Australia harbours more things that can kill you in extremely nasty ways than anywhere else, including sharks, crocodiles, snakes, even riptides and deserts, Bill Bryson adores the place, and he takes his readers on a rollicking ride far beyond that beaten tourist path. 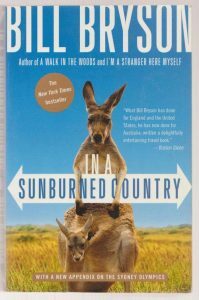 Wherever he goes he finds Australians who are cheerful, extroverted, and unfailingly obliging, and these beaming products of land with clean, safe cities, cold beer, and constant sunshine fill the pages of this wonderful book. 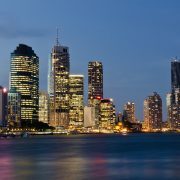 Australia is an immense and fortunate land, and it has found in Bill Bryson its perfect guide.